Morocco was our first holiday together and we have so many incredible memories from that trip. 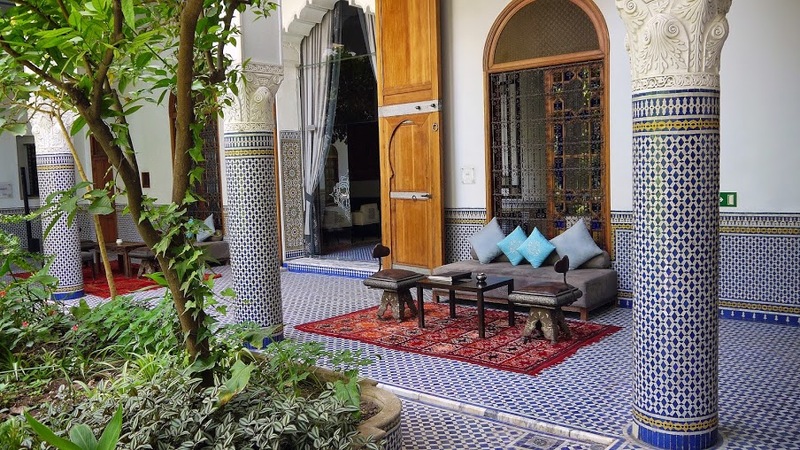 We stayed in Palais Amani, a luxury oasis located within the walls of the ancient Medina in Fez which deservedly has the title of Fez’s best kept secret. We visited Morocco during off season as it was the middle of Summer and also during Ramadan, and were lucky enough to be the only people there during our entire stay! It really doesn’t get more romantic than having a whole palace to ourselves! Palais Amani is adorned with beautiful tiles and in the centre of the magnificent gardens in the courtyard is one of the most gorgeous fountains we have ever seen and in addition there is a rooftop terrace which offers the most stunning 360° views of this magical city and the hills surrounding Fez. We spent our evenings relaxing, soaking in the amazing views and enjoying a few drinks from the bar whilst watching the sun dip behind the mountains. We were also lucky enough to dine privately by the candlelit fountain one evening and it was without a doubt the most romantic meal we have ever experienced. Only a few weeks after I arrived in the UK we had a romantic weekend getaway to Windfalls Boutique Hotel in Worth, West Sussex. Windfalls is a sophisticated, luxurious hotel that only has five rooms ensuring the ultimate in privacy and relaxation. 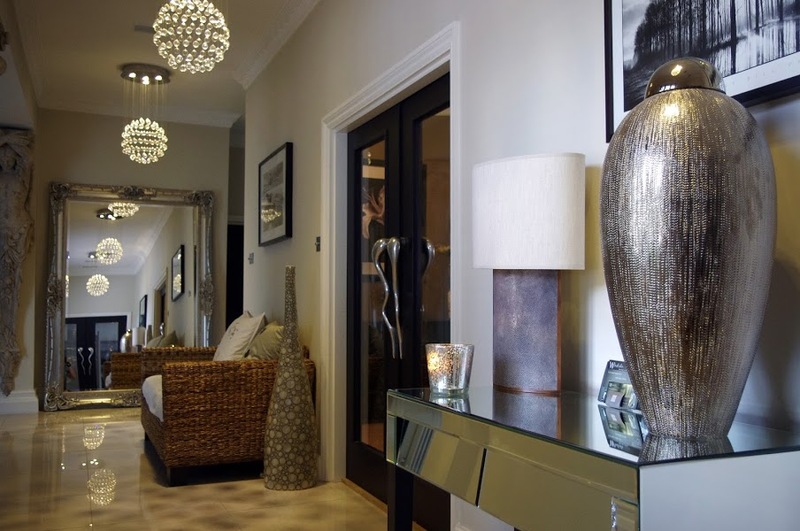 The hotel is sleek and contemporary with sophisticated European and Asian tones, furniture and decoration. The tranquil, idyllic music and beautiful fragrances wafting throughout the air create a relaxed and romantic atmosphere. We loved relaxing on the comfy sofas in front of the open fireplace and strolling the beautiful grounds of the hotel. 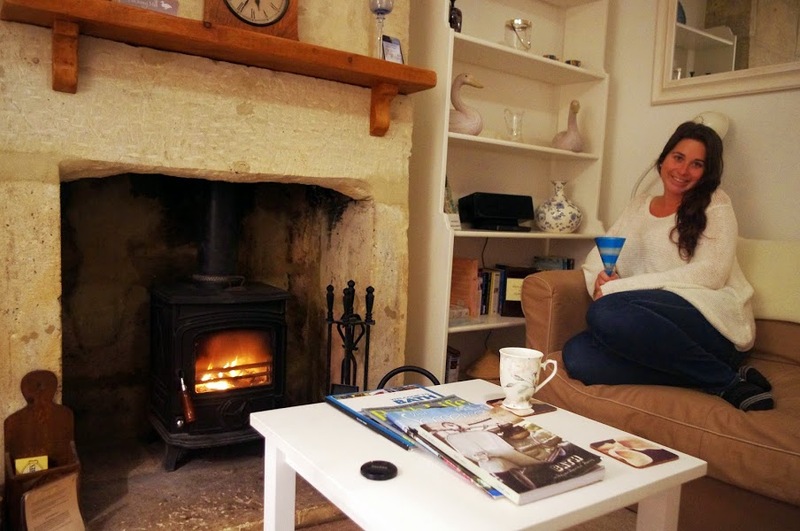 We loved how we felt completely relaxed and at home throughout our stay. We had a lovely, romantic dinner at a nearby gastropub before retreating to our gorgeous room for a wonderful nights sleep in one of the best beds I’ve ever slept in! 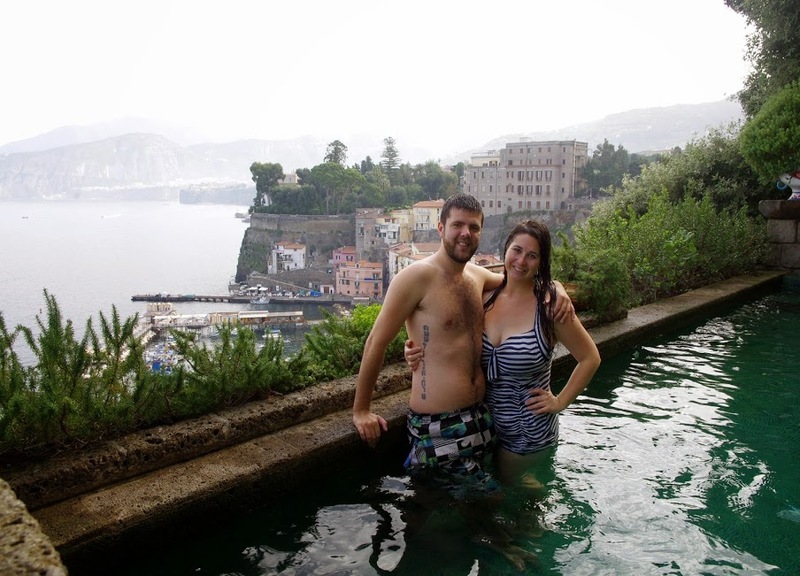 Our first stop on our Amalfi Coast adventure was Sorrento. 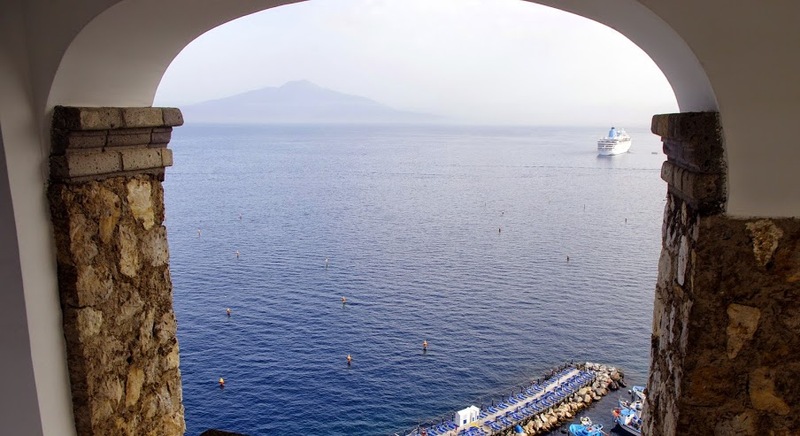 We stayed at the gorgeous Maison La Minervetta which is set high on the cliffs of Sorrento and boasts the most breathtaking views over Sorrento, Marina Grande, the mountains, Bay of Naples and Mount Vesuvius. With it’s picture perfect views, unique, stunning decor and understated luxury, Maison La Minervetta was one of our favourite places in Italy. We fell in love with the hotel from the moment we stepped into the lobby but our true lovely story with Maison La Minervetta began when we were shown to our room. 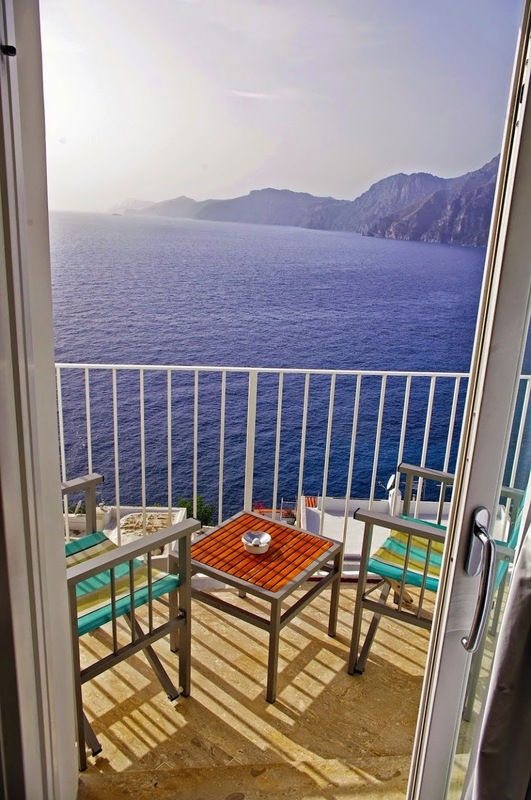 Our room was spacious, nautical themed and featured floor to ceiling picture frame windows overlooking the sea. 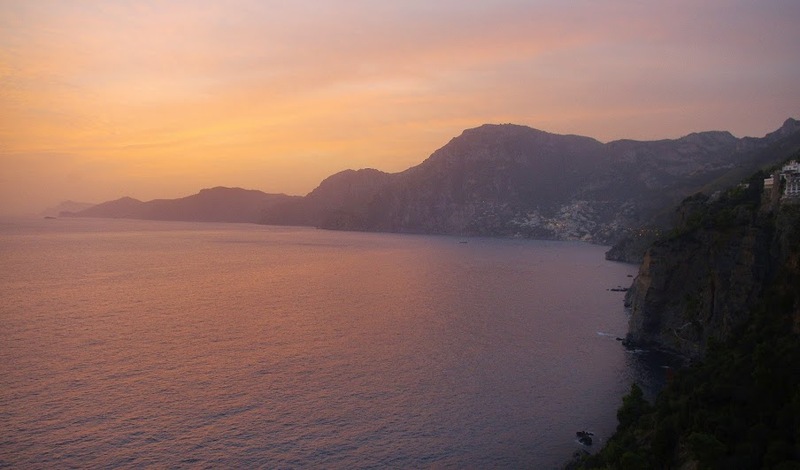 After a perfect nights sleep in our dreamily comfortable bed, waking up to the sun rising over the Bay of Naples was like a dream. Sitting in our chairs looking out our window over Sorrento and the Bay of Naples was an experience we will never forget and was truly one of the highlights of our Italian holiday. Maison La Minervetta oozes understated luxury and is without doubt one of the most unqiue and romantic places we’ve ever stayed. We visited Switzerland for our second anniversary and if you follow us on Instagram or Facebook then you will know that we absolutely fell in love with Grindelwald and Hotel Belvedere. 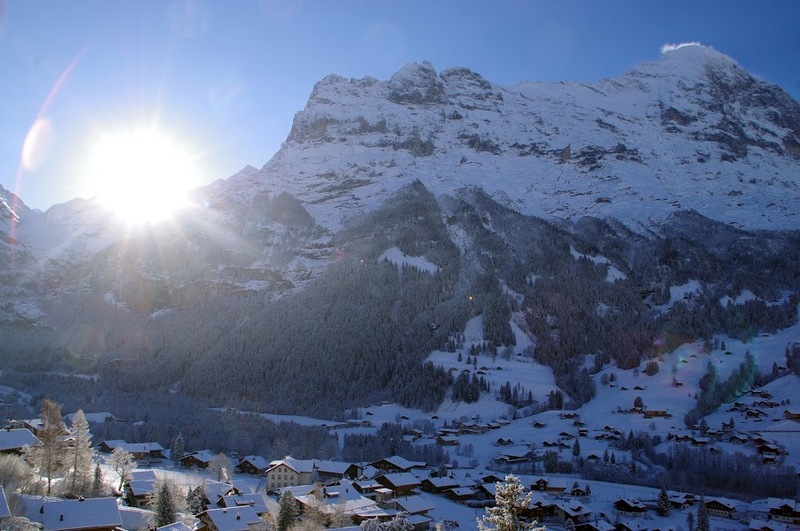 Grindelwald is a magical village in the Swiss Alps that makes you feel as if you have instantly been transported inside a snow globe! We literally could not have had a more perfect anniversary if we had tried! 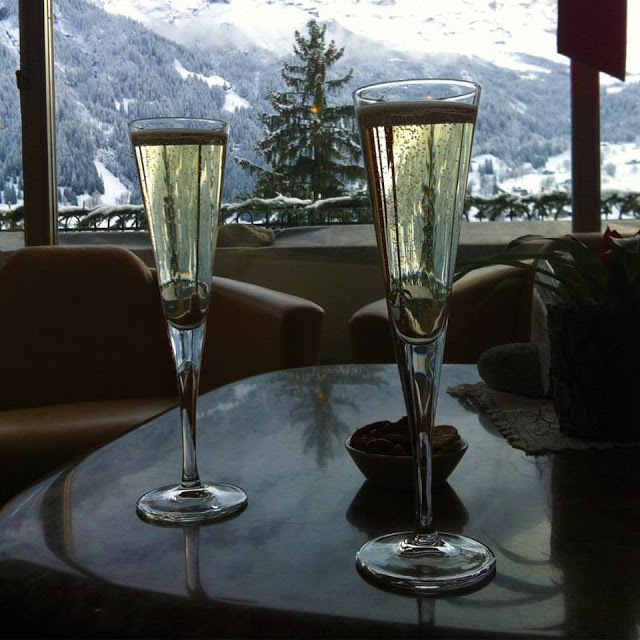 We were welcomed with champagne, given the best room in the hotel and our arrival also coincided with the first heavy snowfall of the season! Our room gave us the most incredible views of the mountains and village. At Hotel Belvedere I was also able to tick a big item off my bucket list – soak in a outdoor pool or hot tub in the snow! 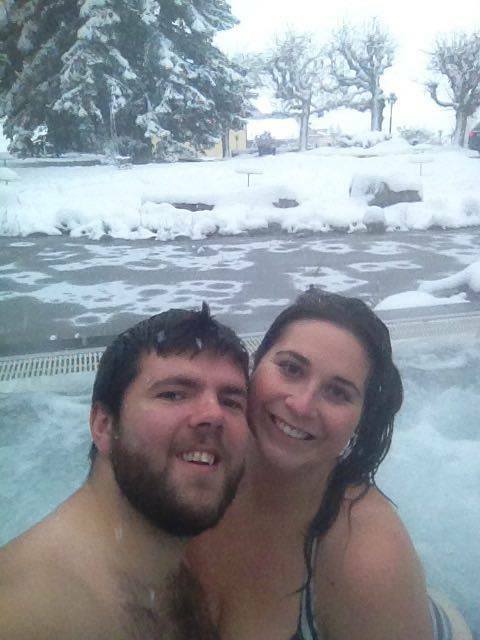 We were lucky enough to be snowed on whilst relaxing in the Jacuzzi, an experience neither of us will ever forget. I know I am rambling but it really was the most romantic, perfect trip ever! 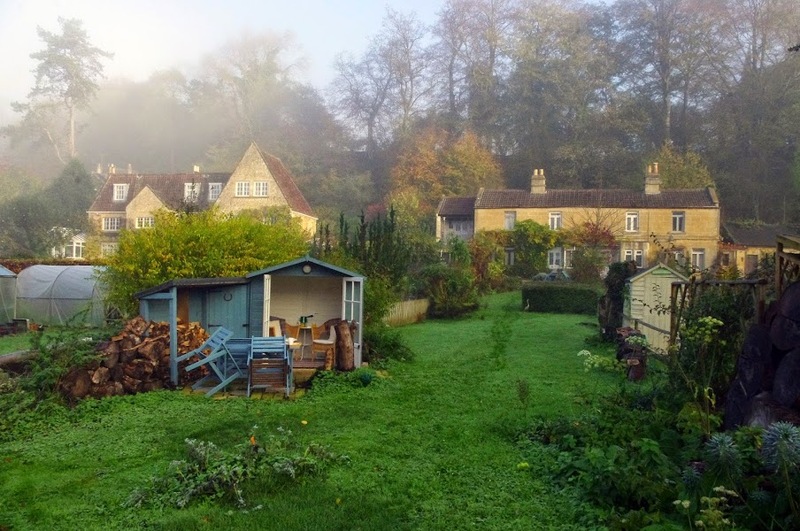 On a weekend getaway to beautiful Bath, we stayed the gorgeous Brook’s View cottage which was relaxing, peaceful and even more perfect than I had imagined the idyllic English countryside to be. 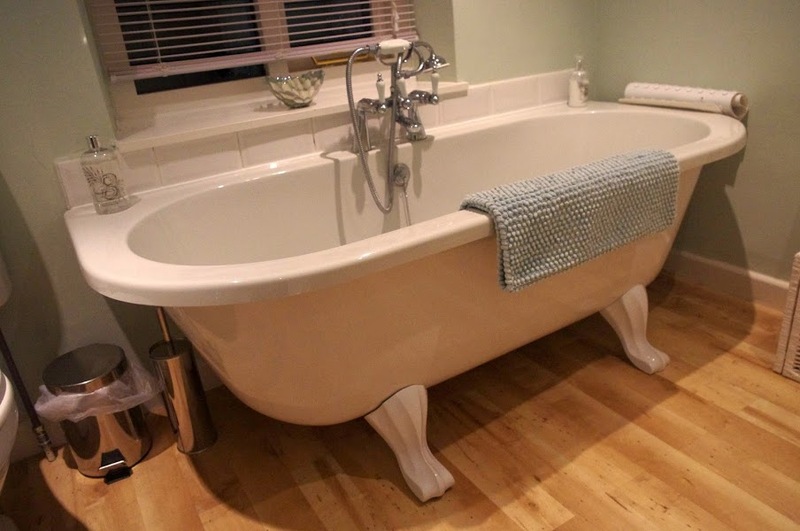 Brooks View Cottage was charming, romantic and was the most perfect getaway in the English countryside equipped with a traditional wood burning stove, BBQ, elegant Victoria roll top clawed bath and luxury king sized bed. 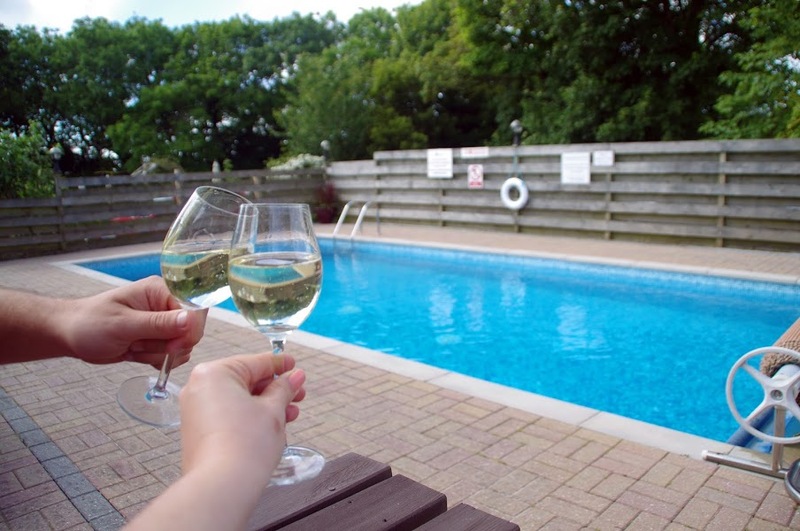 Our favourite part of our perfect stay at Brook’s View was the picturesque private garden, babbling brook, cosy summer house, countryside, BBQ and outdoor dining area. The garden was so green with beautiful flowers despite it being November! We loved the bird feeding area and the countless colourful, chirpy birds that stopped by to visit! It was a tranquil, romantic retreat in the gorgeous English countryside. Dan surprised me with flight to Paris, the city of love for our first anniversary! It was so sweet of him and we had the most romantic weekend exploring this gorgeous city. 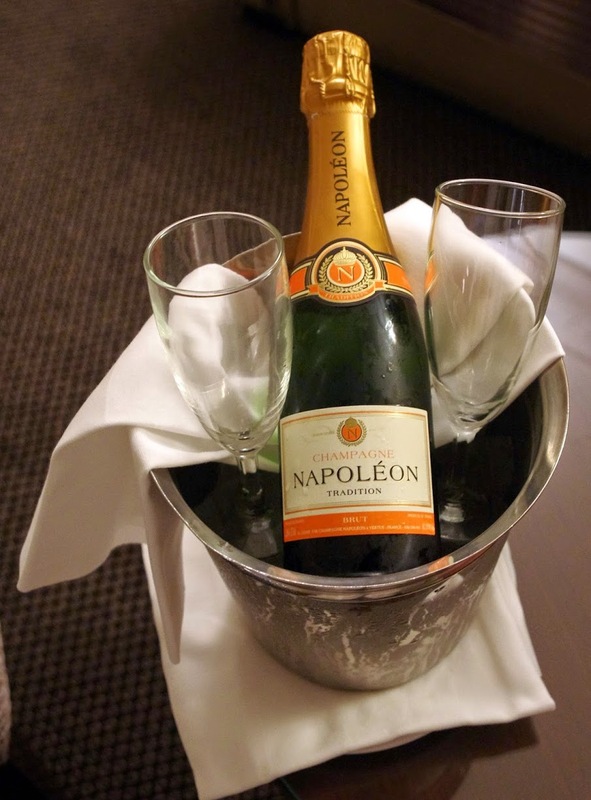 Located only steps away from the iconic Champs-Élysées and Arc de Triomphe was our hotel, Hotel Napoleon. The hotel was sophisticated and luxurious and proudly displays its incredible history. We stayed in a gorgeous Junior Suite which overlooked the peaceful courtyard. 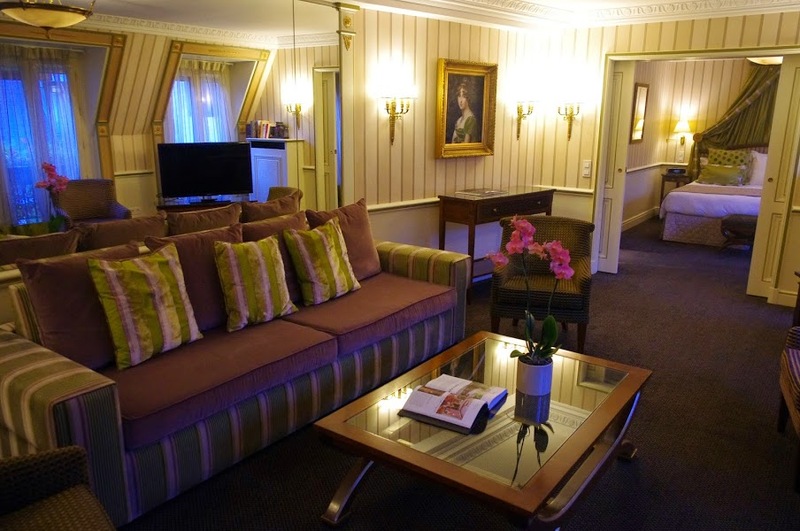 Our suite was spacious, luxurious and immaculately decorated and we loved having a separate bedroom and living room. When the staff found out that it was our anniversary they spoilt us with French champagne and chocolates! We really couldn’t have asked for a more perfect first anniversary or chosen a more perfect place to visit. We had our first ever Glamping experience last year on a visit to Cornwall, our favourite place in the UK. 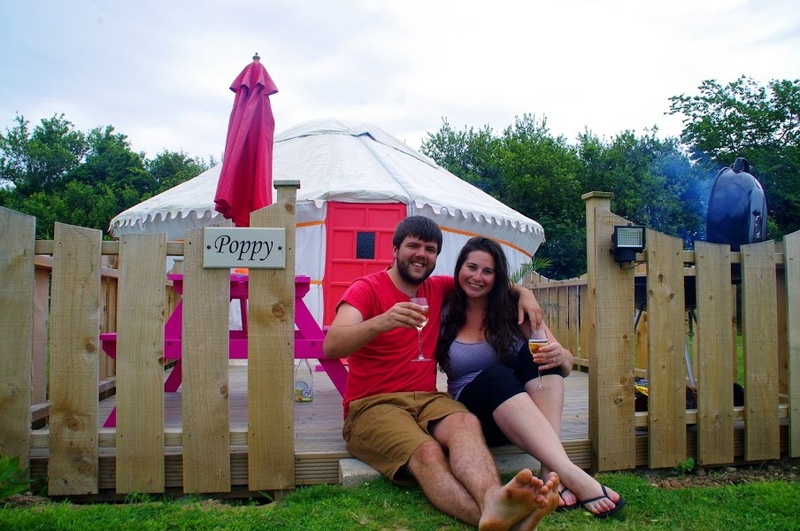 We stayed in the brand new, romantic ‘Poppy’ Yurt and it was such an incredible experience that I would recommend to anyone visiting Cornwall. The location was perfect, being only a ten minute drive to the beautiful Cornish beaches and gave us the perfect opportunity to enjoy nature and the beautiful environment whilst also being able to retreat to our perfect, comfortable and luxurious Yurt of an evening. We fell in love with our Yurt the minute we saw it! Being our first time ‘glamping’ and first time staying in a Yurt we were blown away with how we could relax in the beautiful countryside and enjoy nature whilst still having all the luxuries of staying in an apartment or cottage, but in such a unique and beautiful set up. 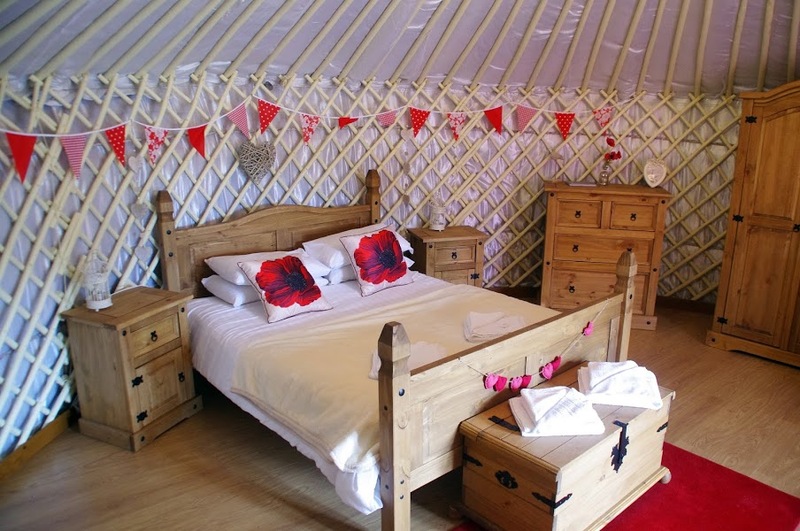 Our yurt was luxurious, comfortable, spacious and beautifully decorated and furnished with rustic wooden furniture, gorgeous decorations and ornaments accompanied by lovely, romantic lighting. We felt at home immediately in the Poppy Yurt and absolutely loved snuggling up in the cosy Yurt after a big day in the great outdoors and we felt so cosy and warm whilst a storm raged outside! We fell in love with glamping and can’t wait to try more in the future together. 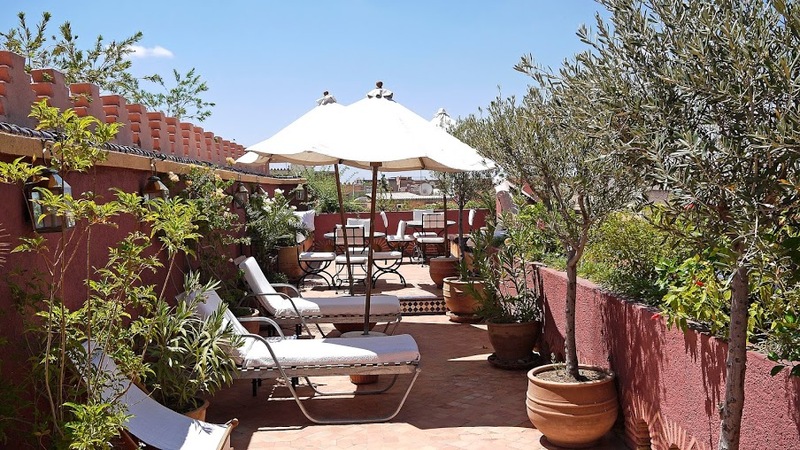 We fell in love with Morocco and with Riads during our stay in Marrakech at Riad Noga. We were in awe from the moment we stepped inside Riad Noga as every single one of our senses was delighted from the beautiful chirping of the birds who have made the Riads trees their home to the soft sounds of lapping water from the Riads enormous pool, to mouthwatering smells wafting from the Riads kitchen. It is safe to say that we fell in love Riad Noga from the very beginning. Again we were lucky enough to have the entire Riad to ourselves and loved spending our days relaxing by the pool, sunning ourselves on the rooftop terraces and relaxing amongst the fruit frees and flowers in the courtyard. Our stay was relaxing, peaceful and intimate. 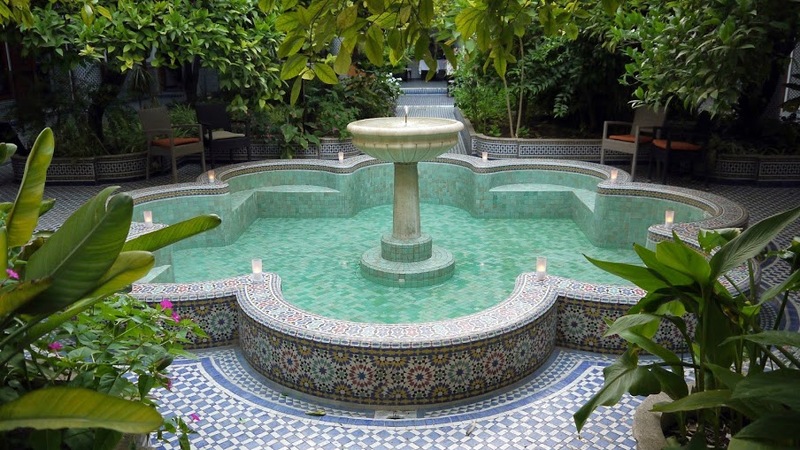 The Riad had 7 rooms which were all immaculately decorated and themed in a different colour. We stayed in the gorgeous Red Room, a room so romantic, comfortable and luxurious I never wanted to leave! Choosing to dine in the Riad was one of our best decisions of the trip as we were served the most tantalising three course meal. After being ushered to our private table located on the beautiful upper courtyard, overlooking the pool we were served a delicious, plentiful and beautifully presented meal. It set the standard very high for our expectations of Moroccan cuisine throughout our trip and we absolutely fell in love with the food. We ventured to the Snowdonia region of Wales for my birthday long weekend with the intent to explore the region and climb Mt Snowdon and whilst we did all of that one of our favourite aspects of our trip was in fact our stay in the beautiful Beudy Mawr cottage on Ty Mawr Farm. We could not have picked a more cosy, relaxing and luxurious retreat for our stay in Wales and it is truly one of our favourite places we’ve stayed in all our travels. 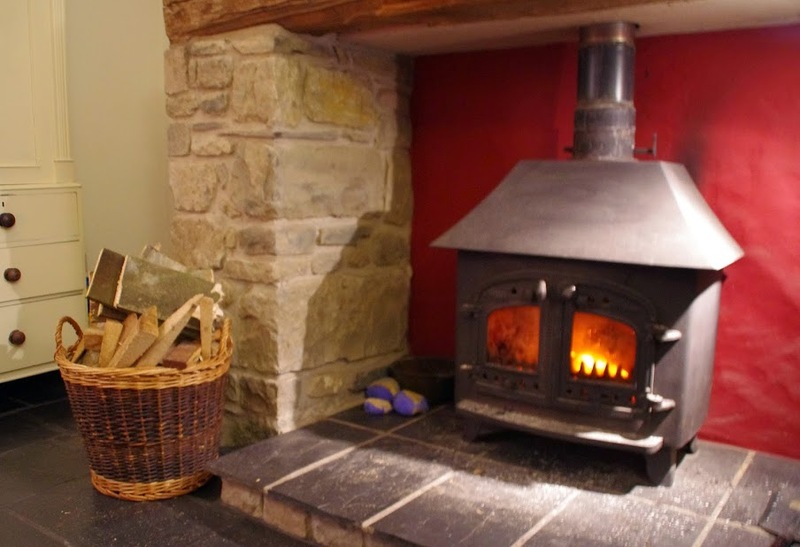 The cottage is a converted granary that is enormous with beautiful exposed wooden beams, an inglenook fireplace, woodburning stove, a large roll top bath and cosy, luxurious decor and furnishings. One of the most stunning feature of the bedroom is the French patio doors that opened up into our own private backyard with outdoor seating and the most breathtaking, uninterrupted views of farm lands, the Snowdonia mountain range and Mt Snowdon. Our favourite part of each day was snuggling up in front of the roaring fireplace each night after a big day of exploring and hiking which really was the perfect way to relax and reflect on all the adventures we’d had that day. 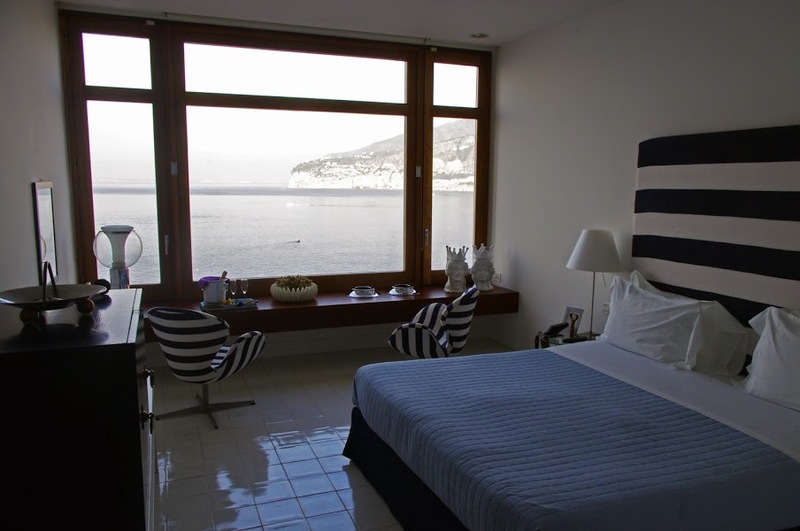 Last but not least is our most romantic destination ever: Casa Angelina on Italy’s Amalfi Coast. We arrived at Casa Angelina after hiking the strenuous Walk of The Gods from Positano. The second we stepped inside Casa Angelina resulted in pure bliss as we were greeted by the friendly, welcoming staff who quickly whisked our bags away and replaced them with delicious welcoming drinks. We knew from that moment that our stay at Casa Angelina would be the perfect, luxurious, romantic and relaxing stay we had been waiting for. 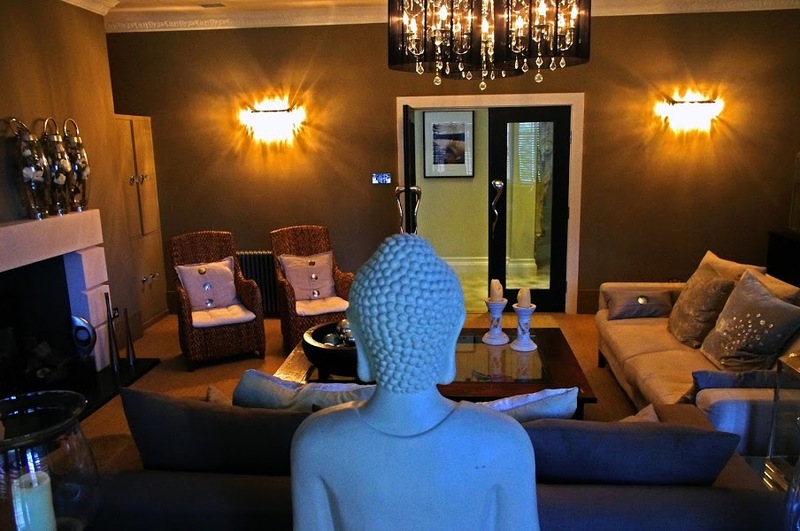 In addition to the amazing location and views, we also loved Casa Angelina’s sophisticated and stylish white decor which is beautifully complemented by the countless gorgeous coloured Murano Glass statues and artworks featured throughout the hotel. We stayed in the ‘Romantic Room’ described as being ‘ideal for lovers’. 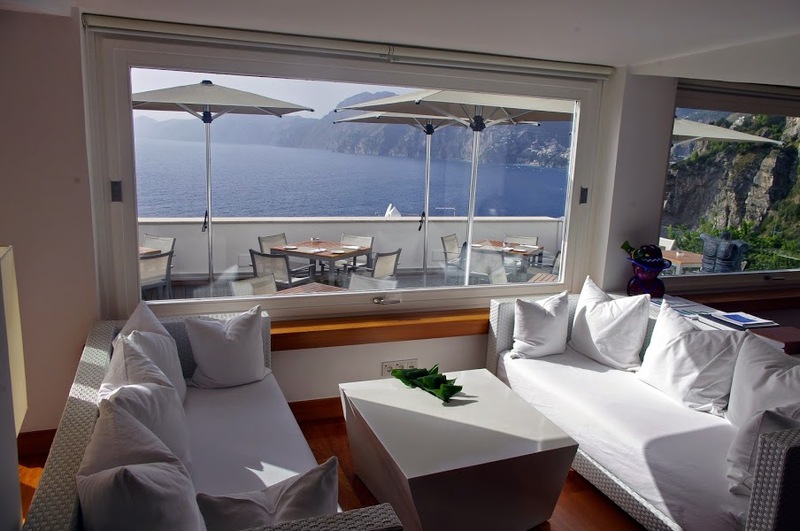 The room was romantic, intimate and was the best balcony views we have ever experienced in all our time travelling, with views stretching along the cliffs to seaside Positano and all the way to Capri. Waking up in a beautiful, comfortable, contemporary room with the most incredible view out our balcony was like a dream.